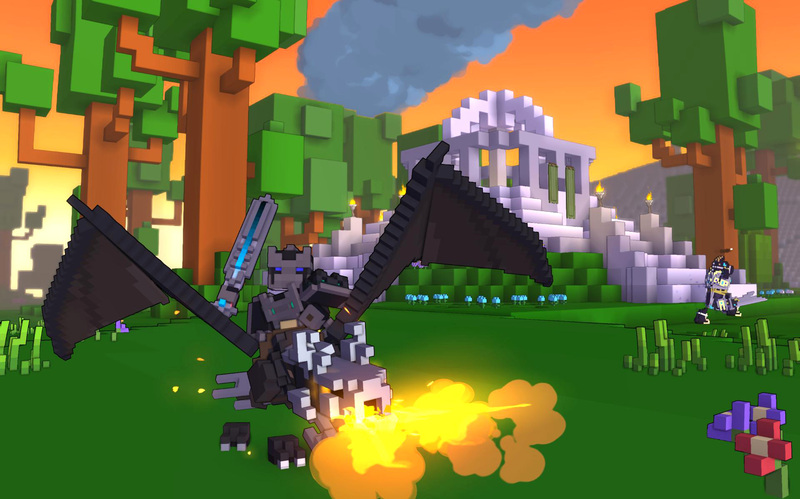 Trove is an open-world voxel MMORPG available on PS4, Xbox One, and Steam for PC and Mac with fully buildable and destructible worlds, much like Minecraft. 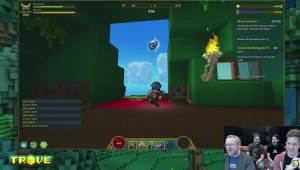 The game will feature unlimited dungeon variations, harvestable resources, and a trans-dimensional home for all players. 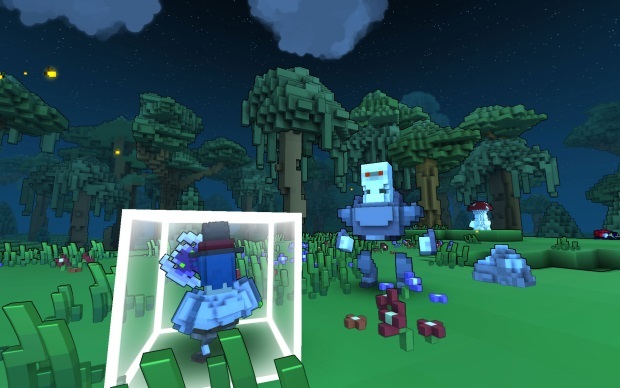 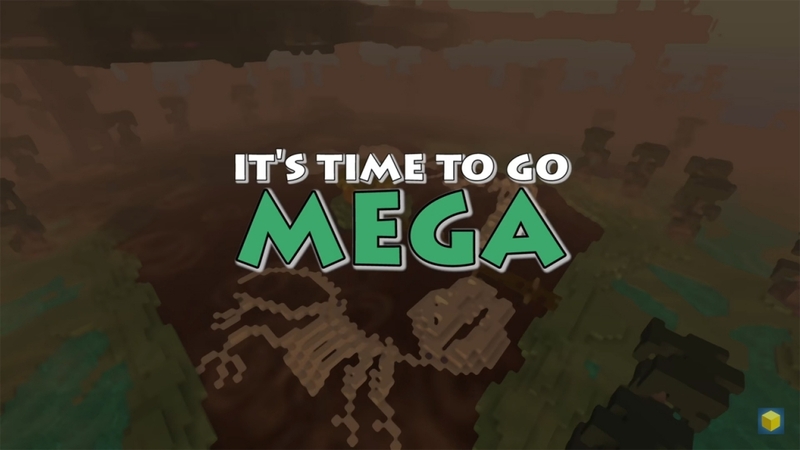 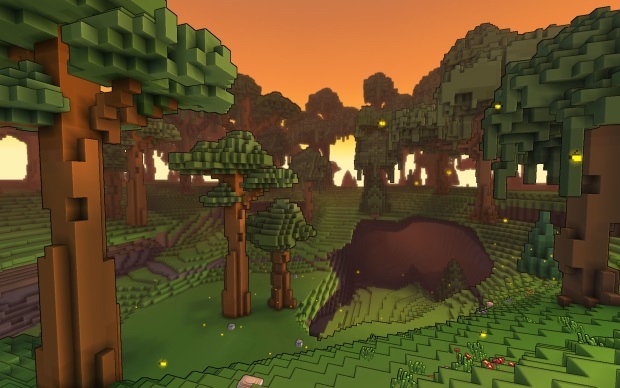 Worlds will vanish or regenerate as quest objectives are completed, and player creations will appear and continue to shape the worlds of Trove as it grows and evolves over time. 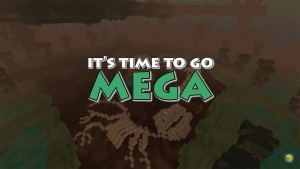 Microtransactions: Yes - Buy costumes, companions, materials, premium account, in game currency, loot boxes, and more. 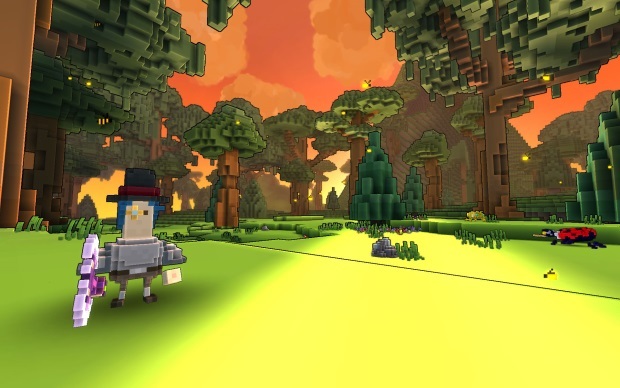 Realm Exploration: Adventure through fully destructible realms on the back of your favorite mount and explore untamed wilds with dangers and treasures galore. 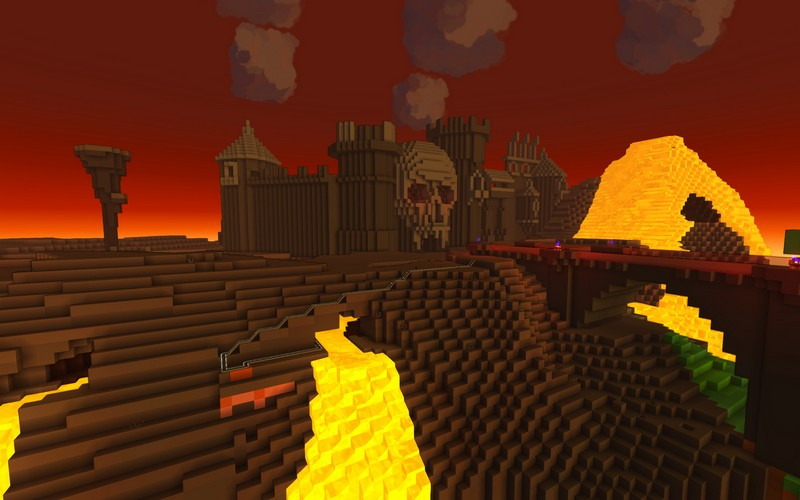 Dungeons: Make your way through dungeons that are unique to each realm and make sure to bring along some backup. 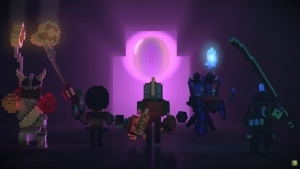 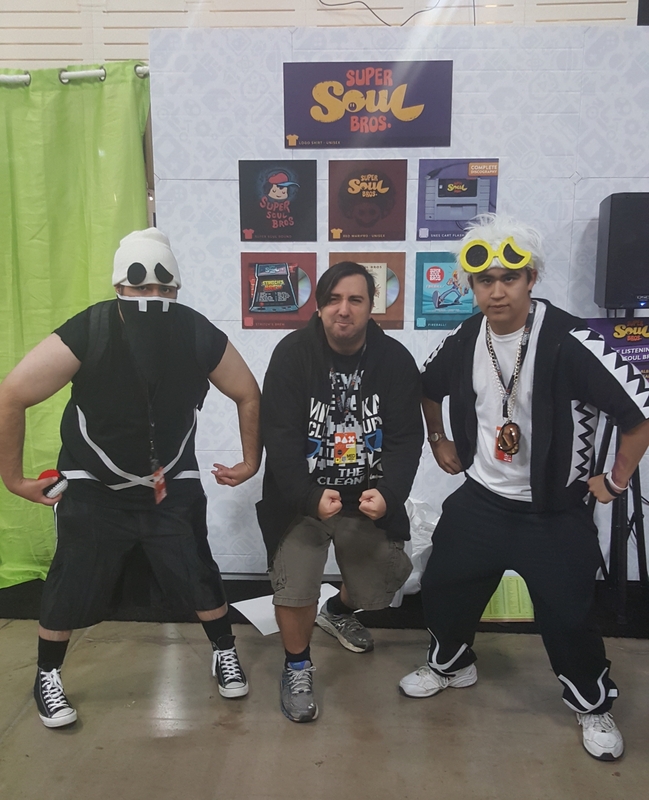 You never know what you might run into - whether it be deadly minions, bosses, or traps. 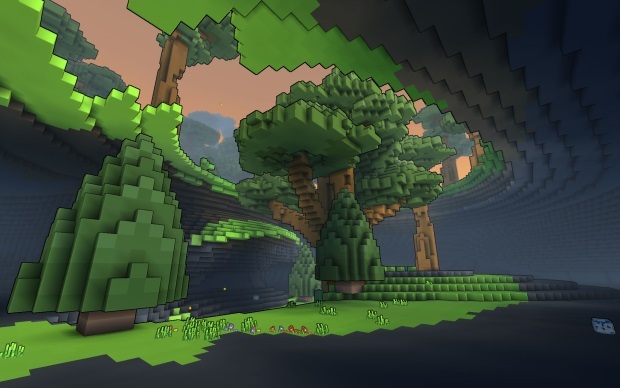 Creation: Via creation mode players can not only build their own domicile, but entire dungeons and other content for other players to enjoy. 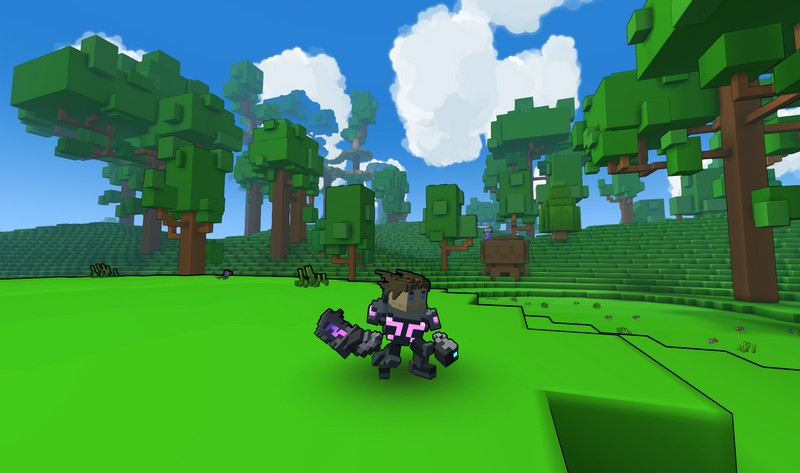 Trove Geode: Geode introduced an entire new planet to explore, as well as a new Battle Royale PvP mode.